Santa Margherita Ligure, on the Italian Riviera, is a centrally located base for visiting Portofino, the towns of the Cinque Terre and other sights on the Italian Riviera. It's on the main train line along the coast and ferries run from its harbor to both Portofino and Cinque Terre. Frequent buses run from Santa Margherita Ligure to Portofino and you can even walk there in about 1 1/2 hours. Santa Margherita Ligure is also a lovely place to visit in its own right, with a pretty harbor, several small beaches, and the feel of an Italian seaside town. Here are some of our recommended hotels in Santa Margherita Ligure, with links to their websites. Hotel Metropole is a 4-star hotel on the seafront near the beginning of the seaside promenade. The hotel has 57 rooms and suites, plus a garden, an outdoor swimming pool, a private beach, a wellness center and a restaurant. Most rooms have a balcony or terrace. WiFi and breakfast are included. Grand Hotel Miramare is an elegant 4-star hotel in a Liberty-style building overlooking the seaside promenade. With 78 rooms and suites, the hotel has three bars, a restaurant, a wellness center, an outdoor, saltwater pool and a terrace with coast views. A buffet breakfast and WiFi are complimentary. Hotel Minerva is a 3-star hotel in a secluded spot close to the regional nature park and a short walk from the marina. The hotel has 37 rooms, a bar, a sitting room and a roof terrace with a hot tub and workout equipment. Breakfast and WiFi are freebies. Hotel Santa Margherita Palace is a 4-star design hotel in the center of Santa Margherita Ligure, 100 meters from the beach. Its 26 rooms and suites have modern, neutral decor themes and the hotel has a lounge bar, plus wellness center with an indoor, jetted pool. Pets are welcome at the hotel. WiFi is free and breakfast is included with most rates. Hotel Tigullio is a 3-star property on one of Santa Margherita Ligure's elegant streets, about a five-minute walk from the train station and 150 meters from the sea. With 40 rooms and suites, the hotel has a sun terrace, a bar, private parking and a reading room. Breakfast and WiFi are complimentary. 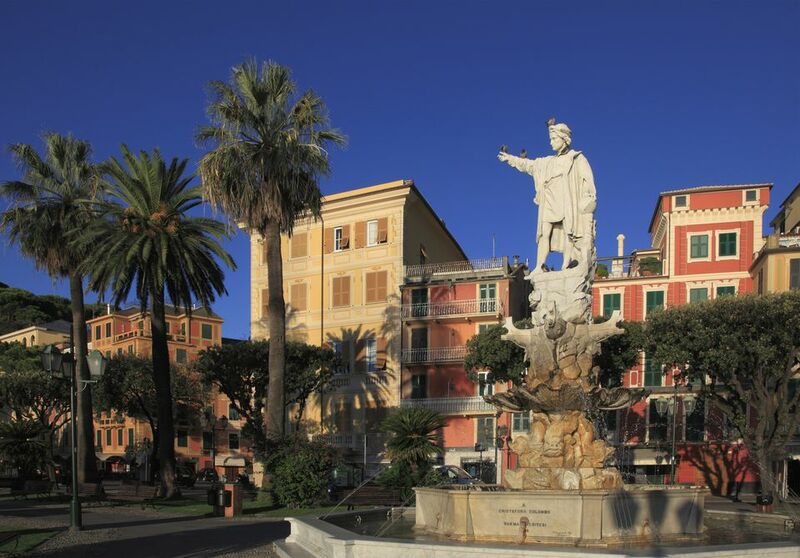 Lido Palace is a 4-star, beachfront hotel with an Art Noveau facade, in the center of Santa Margherita Ligure's coast. It's 54 rooms and suites all have sea views and some have balconies. A buffet breakfast and WiFi are standard free amenities and the hotel has parking, a bar, a restaurant, fitness center and a spa. Hotel Laurin is on the seaside road, overlooking the marina and close to a private beach. This relaxed 4-star hotel has 44 rooms with sea views, and some have private balconies. Amenities include free WiFi, plus a restaurant, a bar, a fitness center and an outdoor swimming pool. Hotel Argentina is a 2-star hotel about two blocks from the small Bay of Parigi, between Santa Margherita Ligure and Portofino. The 12 simple rooms all have private bathrooms, though some are outside the room. The hotel has a restaurant, a bar, and a terrace and accepts pets. A breakfast buffet and WiFi are included. Hotel Jolanda is a 3-star hotel in the town center, 100 meters from the sea. The hotel has a modern exterior, though its 49 rooms and suites have a classic feel. The inn has a bar, restaurant, fitness room, spa, parking and garden. WiFi, loaner bikes and a breakfast buffet are all free.